Mix all ingredients together, dough will be sticky. Let rise 1 hour. 1/2 cube margarine, garlic salt, dill weed and Parmesan cheese. Roll out to desired thickness, about 1/2". Cut in strips, about 1 1/2" wide. Melt butter on large cookie sheet in the oven. Sprinkle garlic salt and dill weed over the butter. 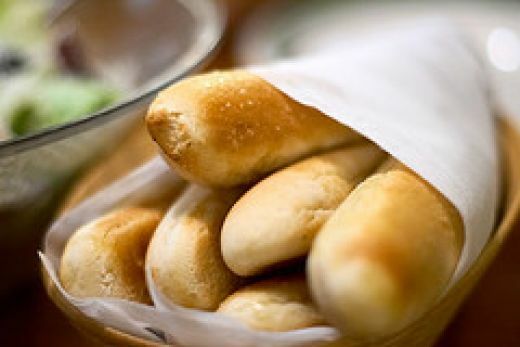 Dip bread sticks on both sides as you put them on the pan. Sprinkle with Parmesan cheese. Let rise 1 hour. Bake at 400 degrees for 10-15 minutes.